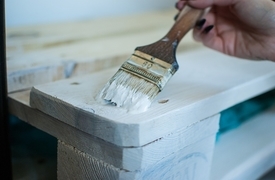 Keeping your home or office in proper condition may be hard on your own. Sometimes you will lack proper tools and equipment needed for the various home repair and renovation jobs. Other times you will be busy with more urgent tasks. The great news is that Handyman Pimlico is the solution to your maintenance issues. Take Advantage of All These Benefits! Count on us whenever you need something installed, replaced, or repaired. We offer a flexible booking schedule. Every handyman Pimlico we work with are background - vetted. 24/7 Customer Care Support Our friendly customer care team is 24/7 at your disposal. All The Right Tools The team comes fully-equipped with the most modern tools of the trade. Insured Handymen The technicians carry public liability insurance. 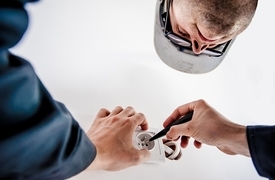 The team of first-class electricians in Pimlico SW1 will come with their state-of-the-art equipment and fix the problem. Refer to us whenever you have some pictures or mirrors to hang over your walls. Enjoy a perfect finish appropriate for walls, ceilings, and woodwork. If you recently suffered from a flood damage, our water damage repair services are just for you.